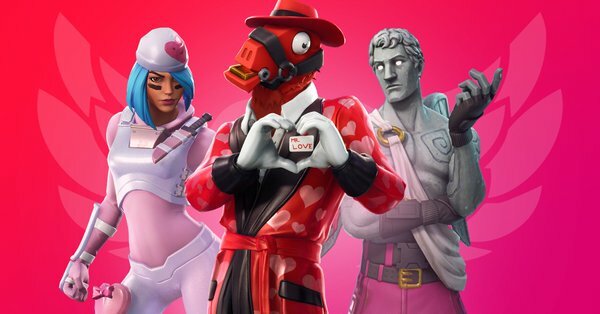 There will be Cupid imposters all over the Fortnite map starting tomorrow. The infamous crossbow is making its way back to Fortnite: Battle Royale just in time for Valentine’s Day, which is coming up on Thursday, Feb. 14. Cupid’s Crossbow returns to Fortnite tomorrow in the v7.40 update, when the Share The Love limited time event will also begin. In the event, you can also earn a free wrap cosmetic skin and many other unannounced items by completing challenges. The lovely crossbow will likely be re-vaulted at the end of the Share The Love event, which concludes Feb. 22. But for now, enjoy Cupid’s favorite weapon with your favorite duo partner when it comes out tomorrow morning.